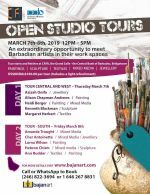 Artist Alliance Barbados in collaboration with the Caribbean Fine Arts Fair (CaFA) presents Open Studio Tours. 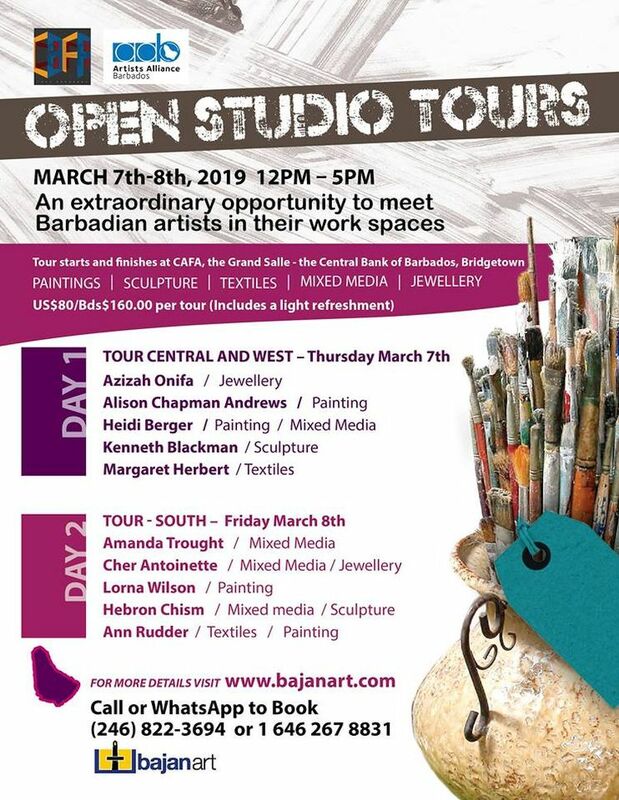 This is an extraordinary opportunity to meet Barbadian artists in their work spaces and visit private art collections. Tours begin and end at the Courtney Blackman Grande Salle. Price: Bds $160/ USD $80 - includes a light refreshment.